South Africa’s Department of Environmental Affairs has announced a new way forward in the fight against pollution, particularly plastic waste. Minister Edna Molewa introduced her department’s ‘Source to Sea’ initiative recently that will focus on marine pollution. Molewa says that South Africa already has a number of processes in place to combat plastic waste in the environment and the ocean, but that the problem is still threatening fragile ecosystems. “In implementing this campaign, I would like to announce the piloting of the department’s Source to Sea initiative. It is an ambitious new strategy to investigate, combat pollution; in particular plastic pollution which threatens both freshwater and marine ecosystems,” she says. “The National Pollution Laboratory operated by the Walter Sisulu University has been established and laboratory work will soon be commencing. This will allow for in-depth analysis of the samples that could not be done in the field,” says Molewa. South Africa has also agreed to the United Nations Environment Programme’s ‘Clean Seas’ campaign that targets marine pollution on international, national and regional scales. “In line with resolutions taken at the UN General Assembly and UN Environmental Assembly respectively, this year we have conducted a plastic material study in collaboration with industry, the South African Bureau of Standards, the National Regulator for Compulsory Specifications, the National Treasury and the Department of Health,” says Molewa. The Department of Environmental Affairs will also collaborate with cosmetics industry to try and cease the use of microbeads in certain skincare products. These minute balls of plastic end up being washed into the ocean where they are ingested by small marine life. The department will also team up with the Treasury and the Department of Trade and Industry to assess the impact of Molewa’s new plastic bag regulations. Some plastic bags used at supermarkets are thinner than the minimum required thickness, according to Molewa. “We will continue to work with the packaging sector – paper, glass, plastic and metal – to increase over and above 58% the amount of waste diverted from landfill,” she said. The Department of Environmental Affairs will be assessing certain products that may be phased out of production. “There is some plastic that is just not helpful, like straws,” says Molewa. Certain local supermarket chains, such as Woolworths and Pick n Pay, have already announced their plans to stop supplying plastic straws and phase out plastic shopping bags. 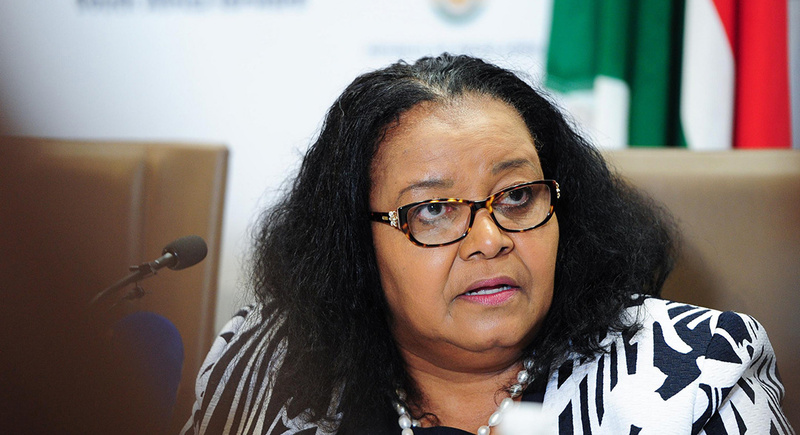 In alignment with President Ramaphosa’s ‘Thuma Mina’ campaign, Molewa’s department will initiate the ‘Keep South Africa Clean’ campaign to teach citizens about the importance of disposing of their waste correctly. “We want to see a South Africa free of litter and illegal dumping. The main purpose of this campaign is to change attitudes and behaviour towards waste – and enable people to take responsibility for keeping their communities clean,” she says. The Department of Environmental Affairs has stepped up its measures to tackle plastic pollution. Citizen participation and involvement in these efforts are vital for our environment. Everyone needs to play a role and become more environmentally conscious.